67-year-old Cristina* recently travelled from Moldova to London, in order to speak about the decades of violence she has experienced at the hands of her husband. Watch her story here. Speaking at our seminar, organised with HelpAge International in support of the global ‘16 days of activism against gender-based violence’ campaign, Cristina* told us that her husband used beat her, even when their children were small, and that he continues to abuse her verbally to this day. She considered leaving him, but she ‘had nowhere to go.’ The abuse was, to a certain extent, seen as socially acceptable. However, since watching education campaigns about violence against women, Cristina* learnt to recognise the violence she experiences as abuse – and as a violation of her rights. Now she campaigns to help other women stand up to abuse. Cristina* explained that women of her generation have normalised their experiences of violence. The biggest challenge is to change these social norms. Her words serve as an important reminder – when it comes to violence against women, we must make more of an effort to listen to the experiences of women of all ages. It is often assumed that gender-based violence is something that only younger women experience. However, we know from existing studies – and from talking to older people globally – that older women are subject to all types of violence, abuse and neglect. This includes physical abuse – but also financial abuse, psychological abuse, and sexual violence. Perpetrators may include intimate partners, family members, members of the wider community, or even caregivers. 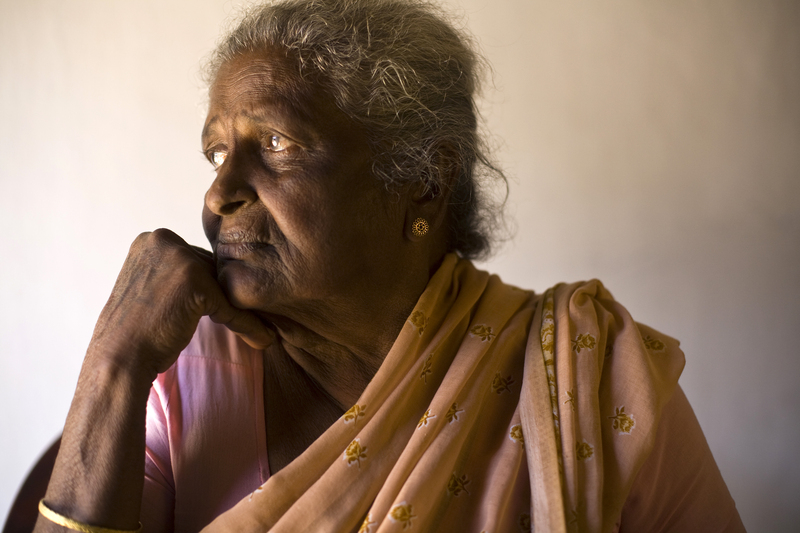 Gender-based violence and abuse not only continues in older age, but it can also begin in older age. Older women can be more vulnerable, either because a lifetime of gender inequalities – or because of the intersecting inequalities of age and gender. Data is crucial to understanding the scale and nature of what is happening to women and enabling us to address the issue. Unfortunately, current surveys and data systems only tend to record violence against women aged between 15-49 years-old. We need to expand this data, so that it captures the experiences of older women, as well as younger women, women of reproductive age and men. We also need to rethink the way we capture data, ensuring that we are sensitive to the challenges that women – particularly those in older age – may face in their decision to report violence. There can be a huge stigma attached to being a survivor of violence. In a survey in Moldova 1 in 3 violence survivors did not want to report the perpetrator due to shame, lack of trust in police, and fear of consequences. Older women may be reluctant to report a perpetrator if they rely on that person for care, or for social contact. How can we better support older women? Older women – alongside younger women – must be consulted in efforts to protect them from violence. Support services must not be linked exclusively to pregnancy or other reproductive services that target younger women. Data must be disaggregated by gender and in five-year age cohorts to include older people, and give us a better understanding of the types of violence women of different age groups are experiencing. Overarching all these measures should be a commitment to create a convention on the rights of older people, with specific provisions for protection from the violence, abuse and neglect faced by older women. I saw that you mentioned unwomen.org/en/what-we-do/ending-violence-against-women/take-action/16-days-of-activism here blog.ageinternational.org.uk/must-listen-older-women-experiences-abuse/ and I wanted to share my gratitude concerning your work on the promotion of women. Good effort Kate. We strongly need such awareness to stop these abuses against older women.